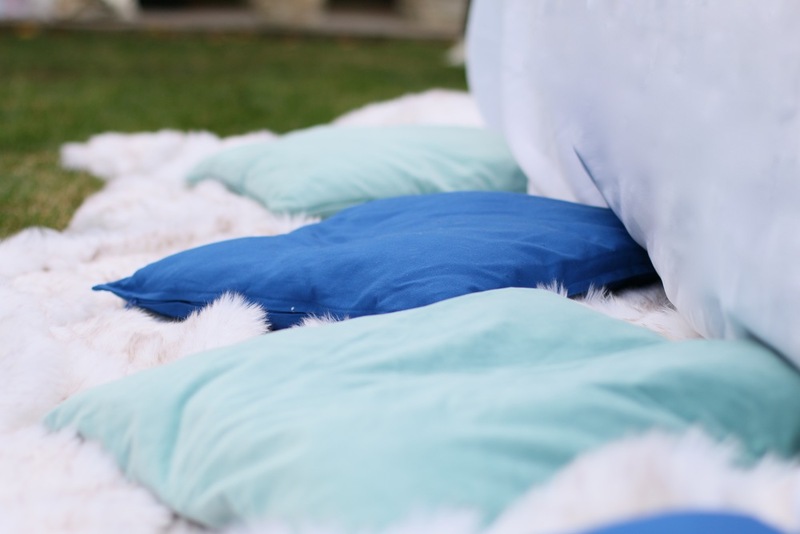 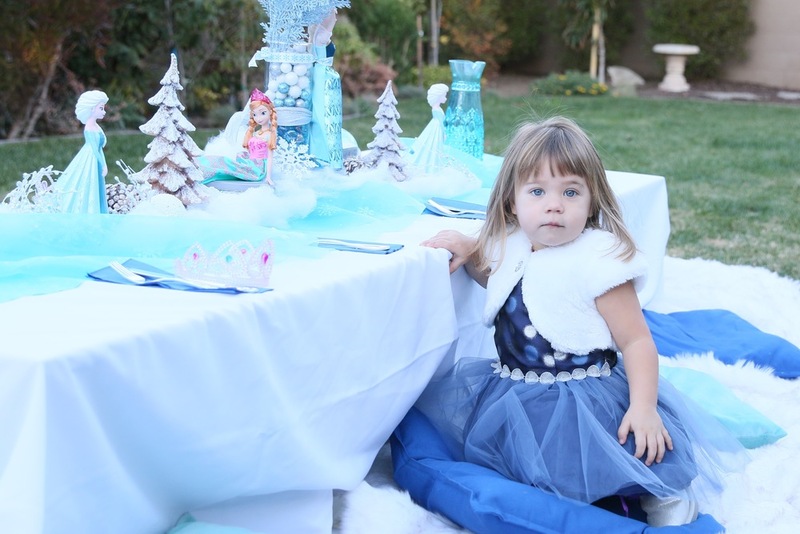 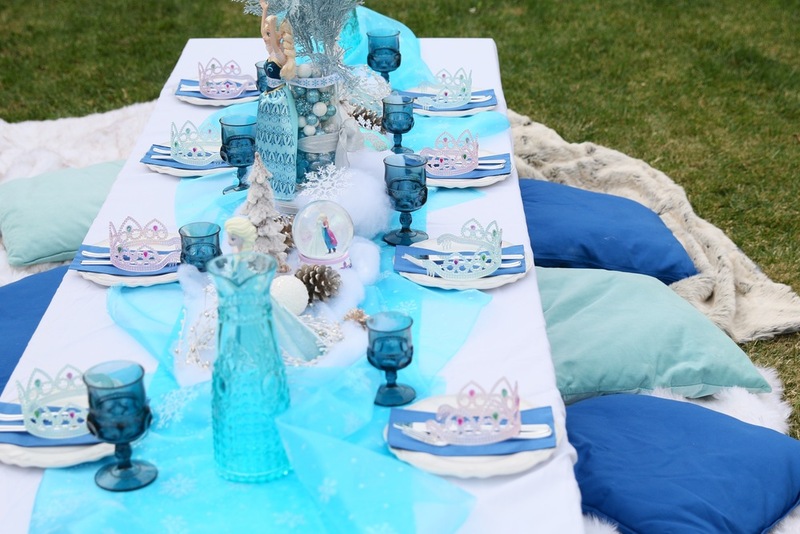 This magical ice princess party will impress and surprise the child in us all! 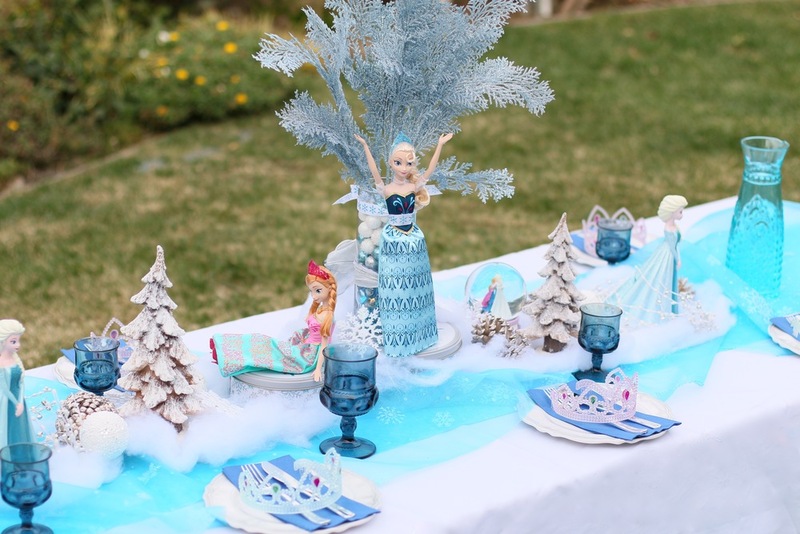 Along with the Frozen character dolls, the cool blues, silvery whites, glittering snowflakes, and wintery accents in this collection will make you chilly enough to feel "Frozen". 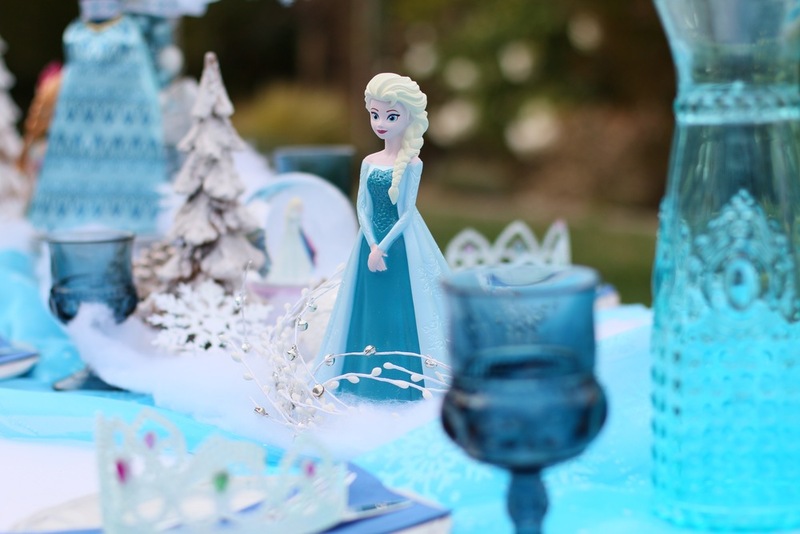 Let yourself go, and let inJOY do the hard work! 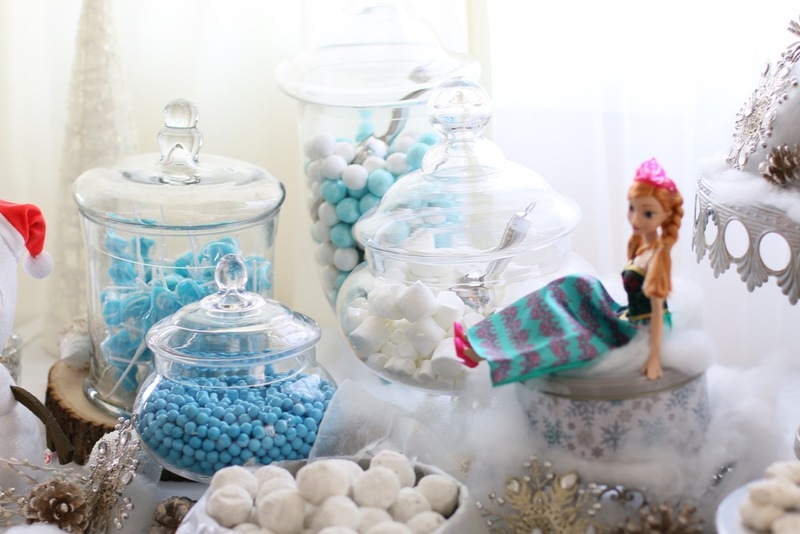 A fabulous collection for a birthday party or baby shower! 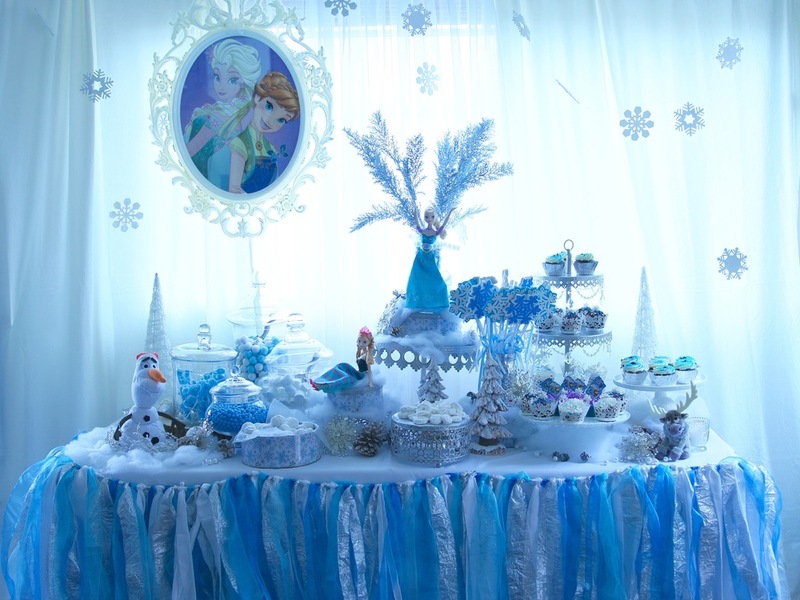 An enchanting dessert station with beautiful white and silver cake platters, Frozen characters, silver snowflakes, snowflake cookie tins, & winter accents. 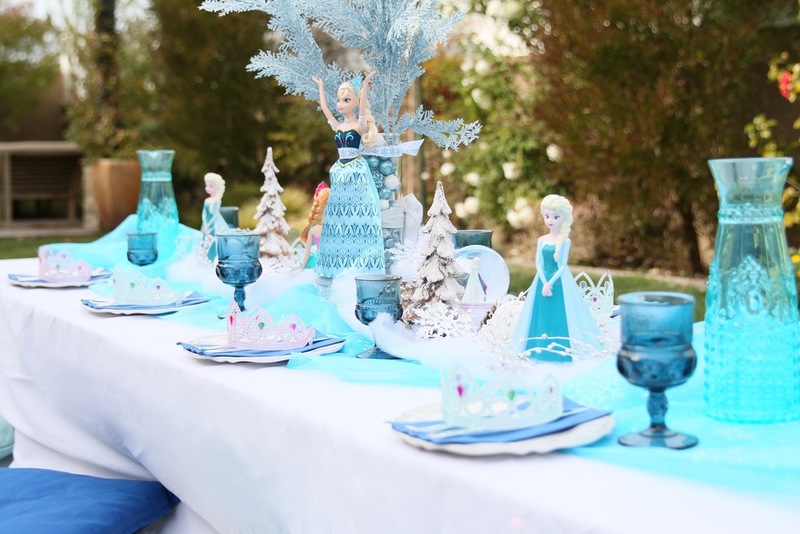 This dessert station comes equipped with linens and a fabulous table skirt. 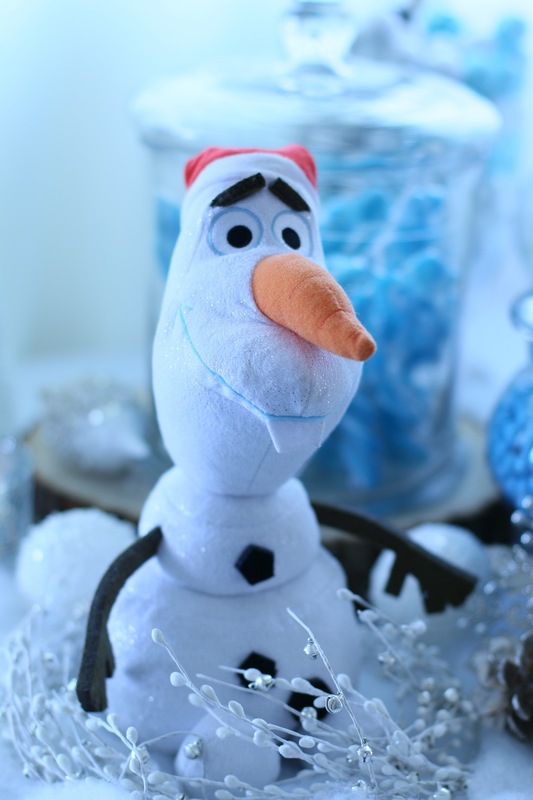 Your favorite Frozen characters are included in the package! 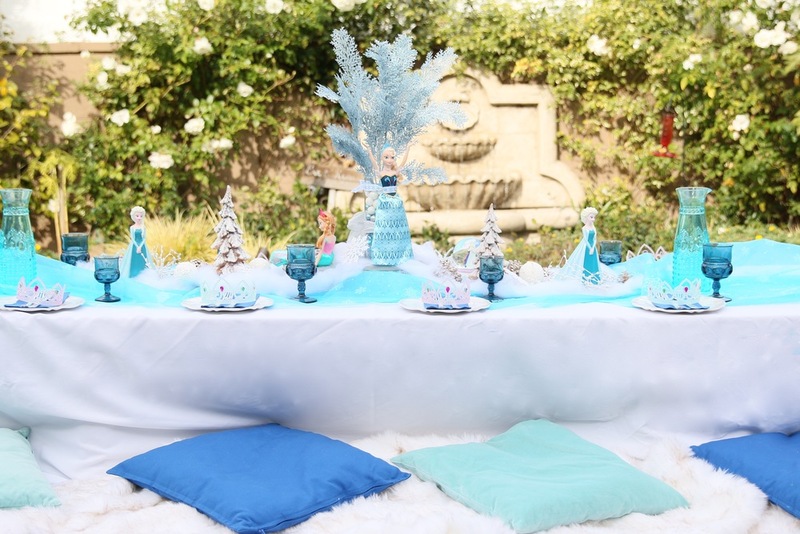 Beautiful Anna & Elsa dolls, character figurines, and stuffed animals to set the stage. 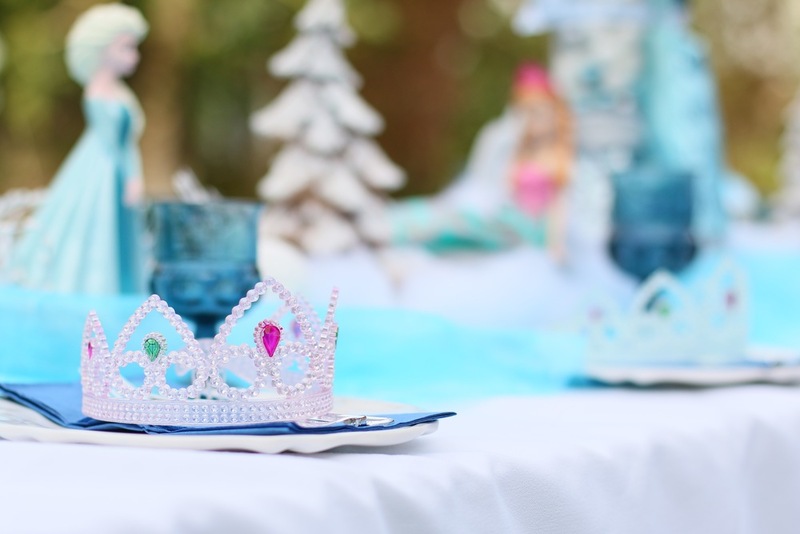 What is a princess party without princess tiaras?! 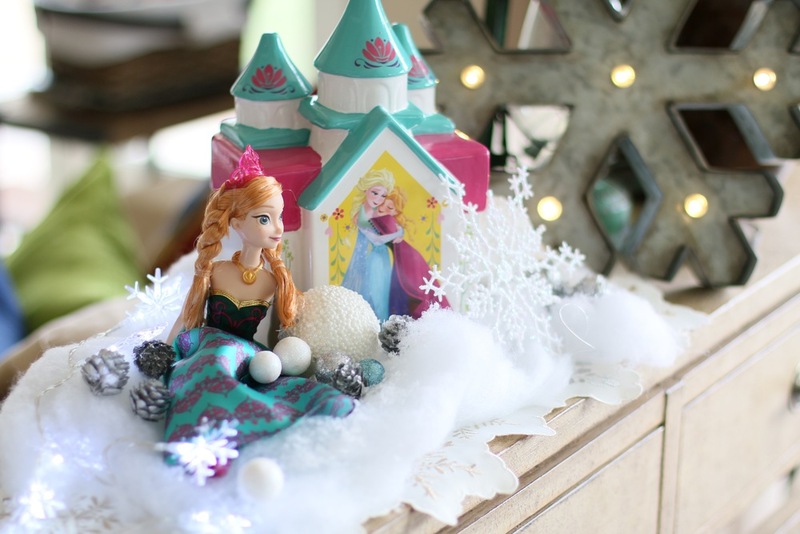 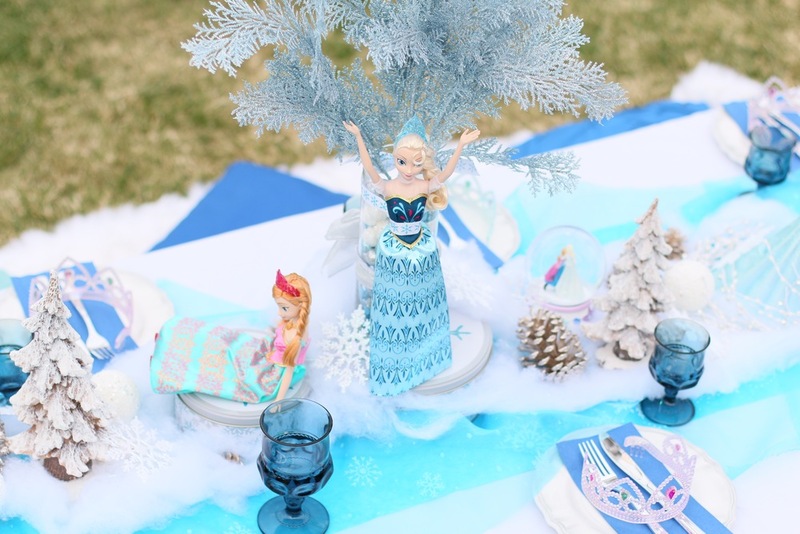 Beautifully arranged Anna & Elsa dolls on decorative platforms for your table centerpieces. 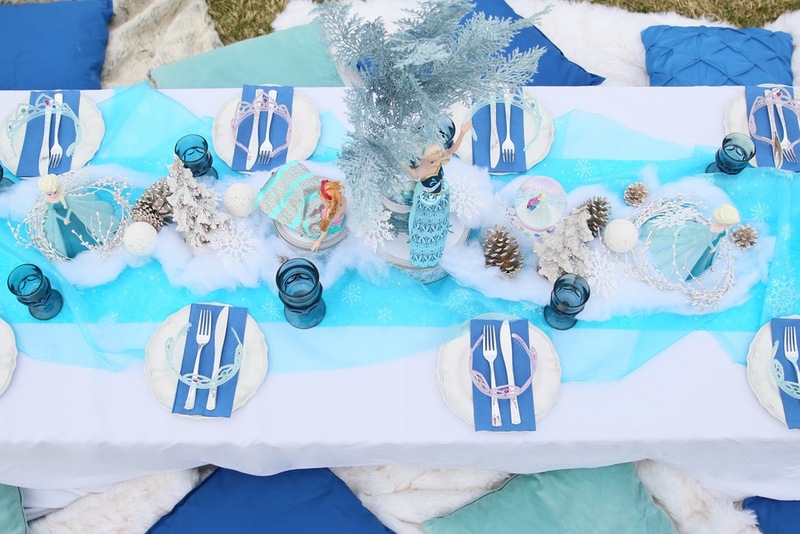 White tablecloths, & "Frozen" blue snowflake table runners. 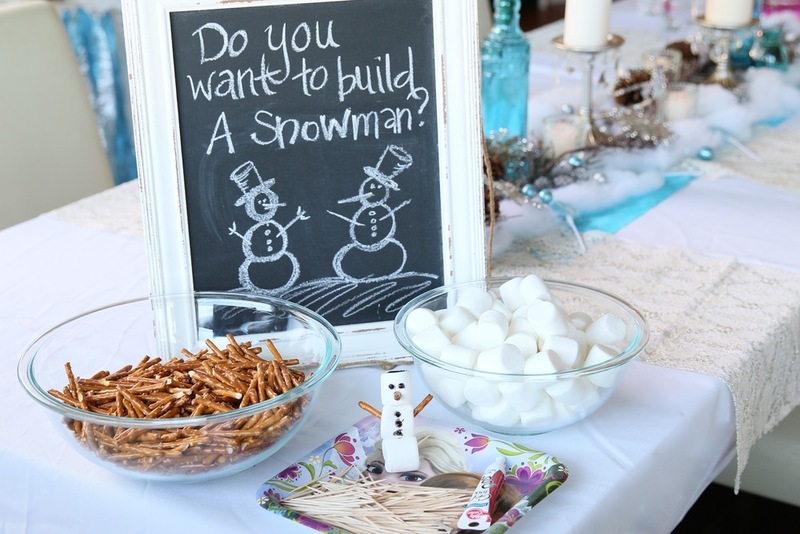 Assorted chalkboards so you can customize signage for your guests. 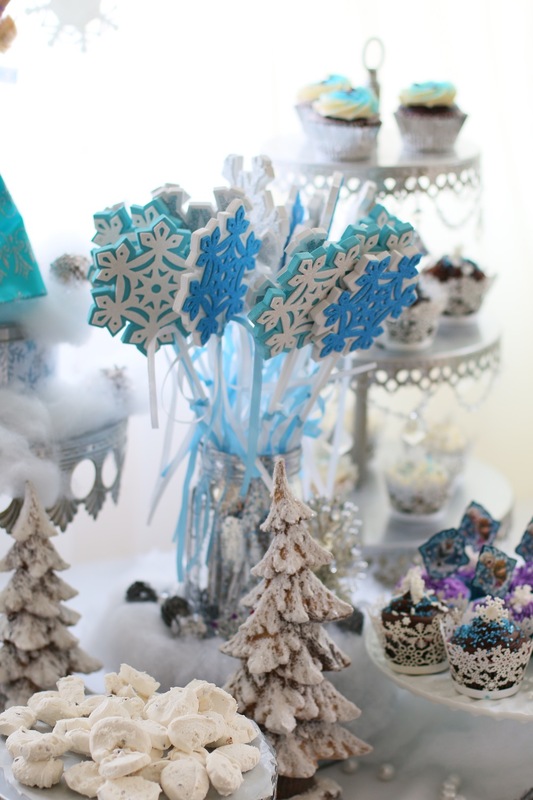 Wintery decor including faux snow, silver pinecones, glittering snowflakes, and assorted snow covered trees. 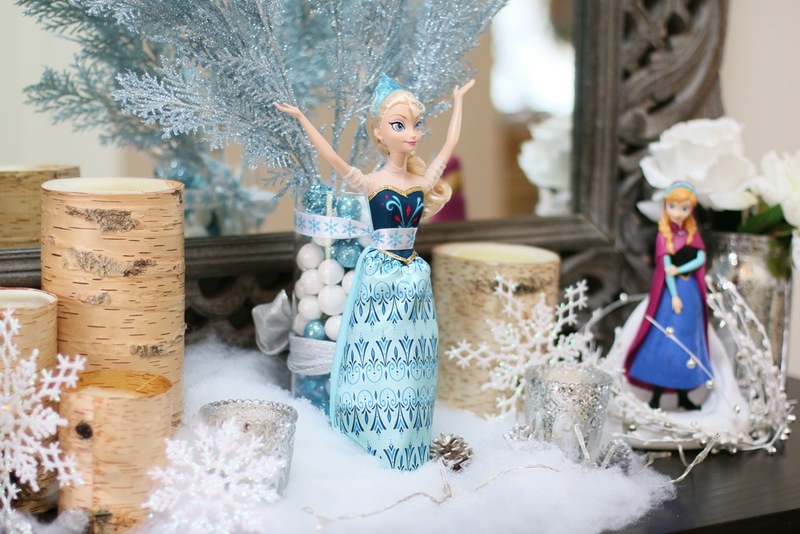 You'll feel like Anna & Elsa are at the party with this fun framed poster of your two favorite princesses!